Mada’s Rowan El Shimi and artist Hanaa Safwat sit down to talk about this year’s three-day 2B Continued festival and lab, which presented to the public last weekend. 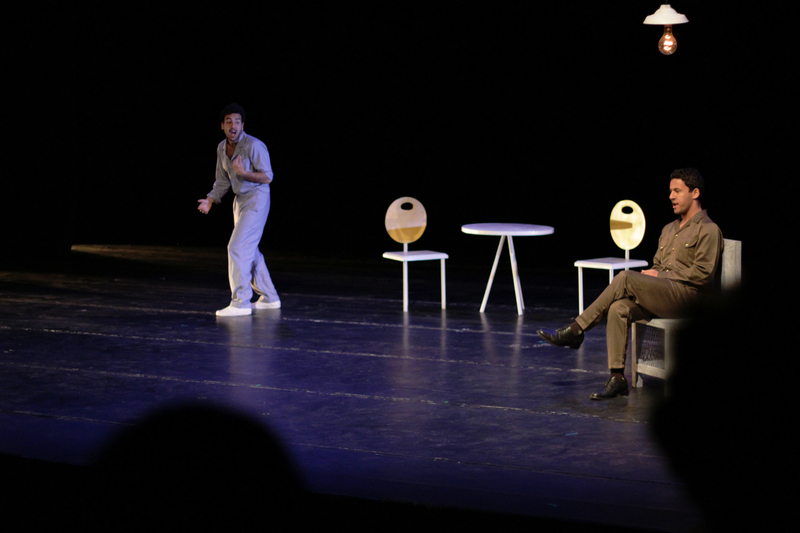 They discuss the three performances — two contemporary dance shows and one play — and then zoom out to look at some issues affecting non-state-affiliated performing arts in Egypt today. — Published on Mada Masr. The theater is a stressful place during rehearsals, and stress levels increase as opening night draws near. 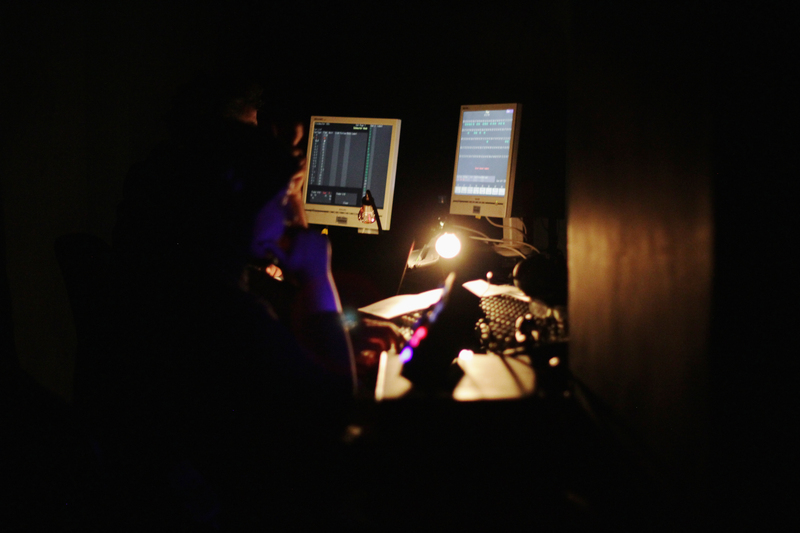 Everyone runs around testing all kinds of equipment, figuring out the quickest methods to change sets and what cues to give each other for light, sound and performance. — Published on Mada Masr. But this tense flurry of activity is an unavoidable part of the magic of live performance. As spectators, we’re often unaware of how much attention to tiny detail is put in by the cast and crew to produce an absorbing, memorable experience. And that’s exactly what around 30 crew members and 15 artists are working to create for the sixth edition of the 2B Continued Festival and Lab, which shows three back-to-back performances with very different and impressive sets for three consecutive nights starting Thursday. One play and two contemporary dance performances have been developed by practitioners under 35 with the mentorship of more established ones, many of who work on the festival year after year. This year it’s Studio Emad Eddin head Ahmed El Attar, French choreographer and dancer Laurence Rondoni, Scottish stage and production manager Alan Wright, Lebanese scenographer Hussein Baydoun and Cairo lighting manager Saber al-Sayed. Founded and run by Studio Emad Eddin’s workshops and residency director Nevine Ibiary, herself a theater director and a graduate of the American University in Cairo’s theater program, 2B Continued offers the space and budget for artists to develop and show work and for stage managers, light designers, scenographers and costume designers to gain invaluable work experience. 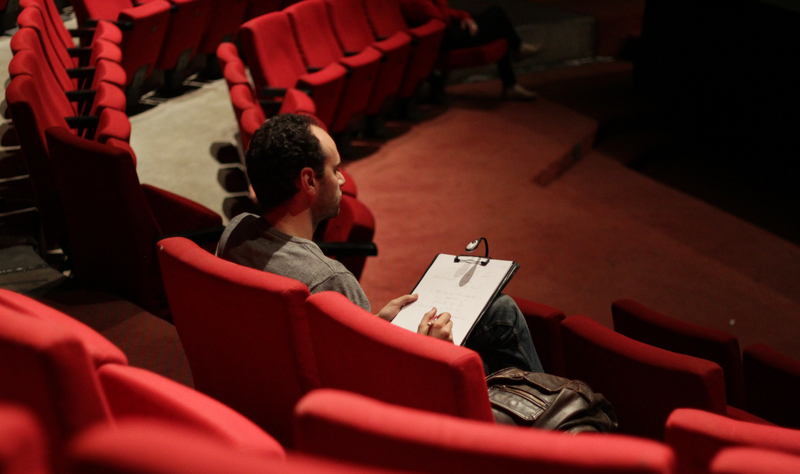 Ibiary thinks a vicious cycle in the independent theater scene means that many staged performances are not well developed in terms of writing or storytelling and many clearly lack good teamwork, a very important element in theater. She staged the festival’s first edition in 2008 to challenge this cycle by giving the directors very specific criteria to work with, including a limited performance time, a limited number of performers, a specific budget and the stipulation to work with existing texts to focus solely on directing. She insists on production teamwork and encourages both artists and technicians to take on specialized tasks to gain experience and open up performing arts networks to new talent. “The festival produces all four performances and all participants get a nominal fee for their work,” Ibiary says. An important, often overlooked element of the festival is that Ibiary also involves the audience, who vote for their favorite performance and the elements they liked in each one (light, sound, costume, scenography, and so on). This is a way to raise the audience’s awareness about the constituent elements of performing arts. The results are announced on the third night. On each night, the audience watches all three performances, and the crew only have a few minutes to re-arrange the set design for the each one. 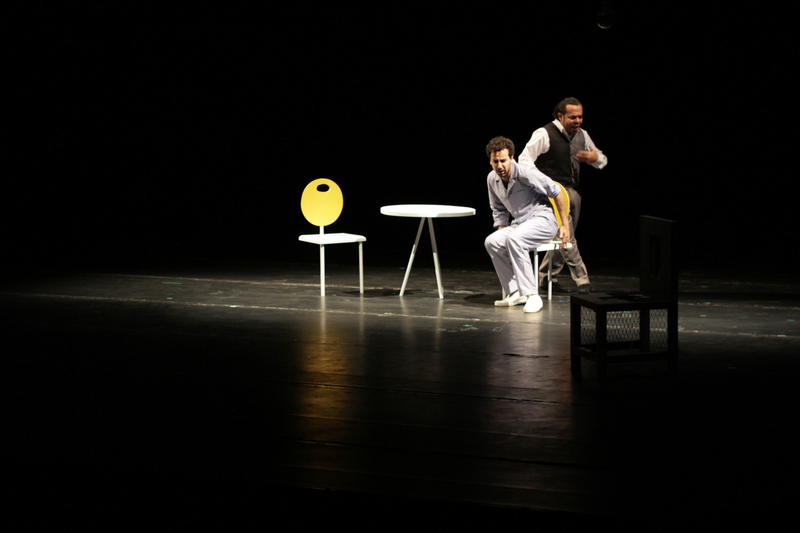 The second show is this year’s only theater play: The Newcomer, directed by Hani Sami, who holds a bachelor degree in theater and a masters in film. This is the third play he is involved in that’s written by late Egyptian playwright Michael Romani, who wrote rebellious and revolutionary works in the 1960s. The Newcomer is set in a hotel and its main character (Ahmed Ashrafi) has absurd conversations with staff and various long lost friends who also seem to work there (Omar Madkour, Joseph Gamil, Aly Kassem and Arsany Meshreky). Discovering the rigid rules of the place opens up questions about society, individualism and control. 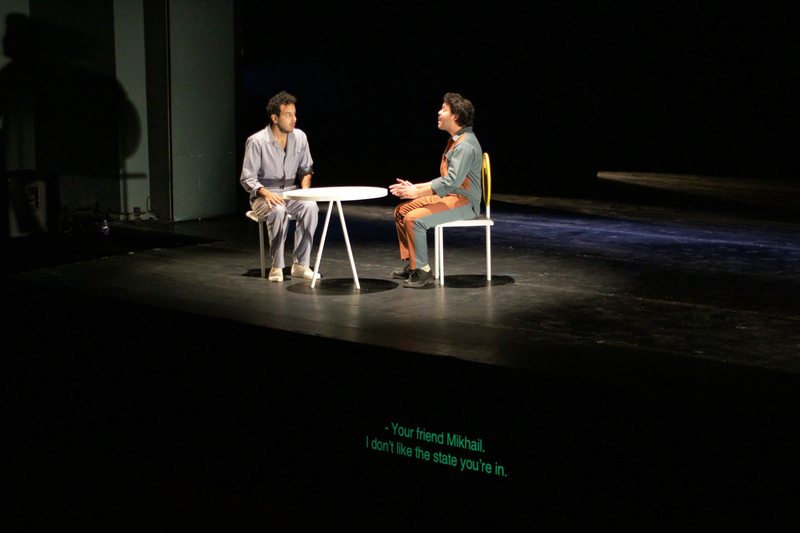 Look out for the sound design by Adham Zeidan, which plays a significant role in creating a claustrophobic feeling on stage. 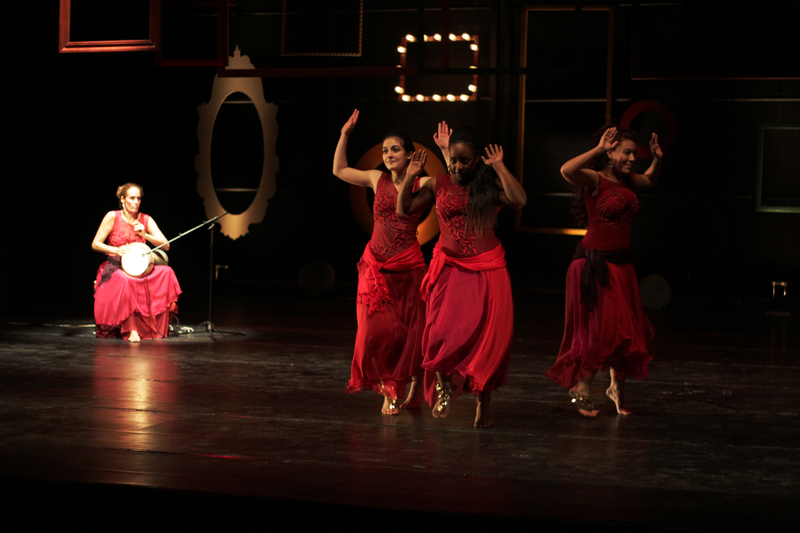 A dance performance titled Ya Sem by Sherine Hegazy, a graduate of the contemporary dance program at Studio Emad Eddin and one of Cairo’s very active young dancers and choreographers, closes the night. Ya Sem is performed by Hegazy, Amany Atef and Nagham Saleh, with live percussion from Sabrine al-Hossamy. 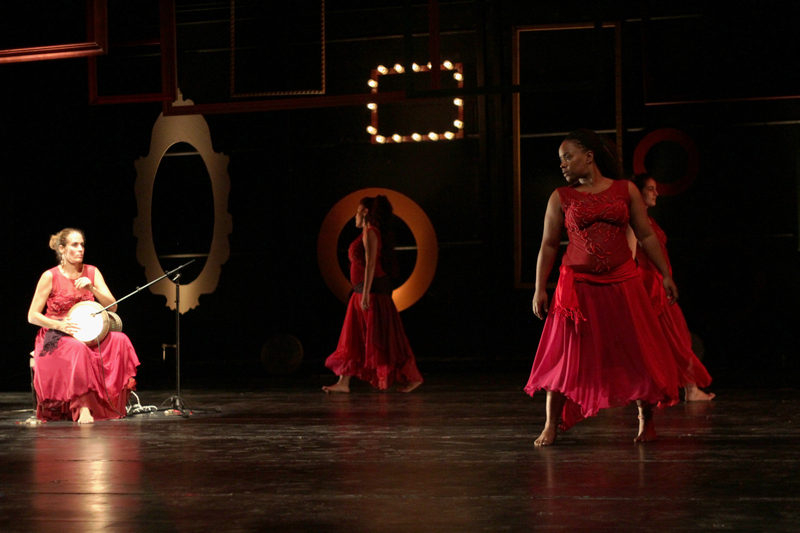 In a goddess-like ritual set against a backdrop of sexual harassment on Cairo’s streets, the three dancers display the power dynamics of women reacting to the space they live in, often employing bellydance movements. 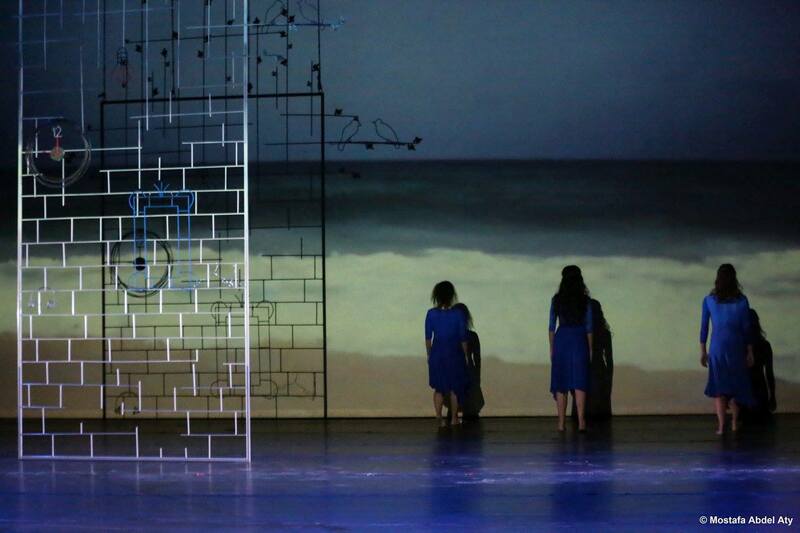 It’s engaging and thoughtful, and the scenography, designed by Nada Mounir, is particularly notable, not only for its aesthetics but also for how it creates a new layer of meaning in the piece. 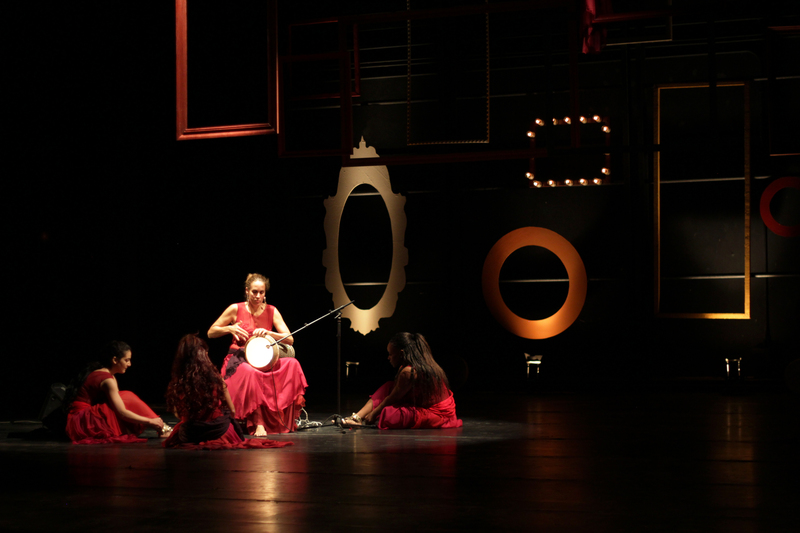 A dance performance called Mayohkomsh, choreographed by Shaimaa Shoukry and performed by Nagham Saleh, will be presented on the fringes of the festival, on December 21 and 22. 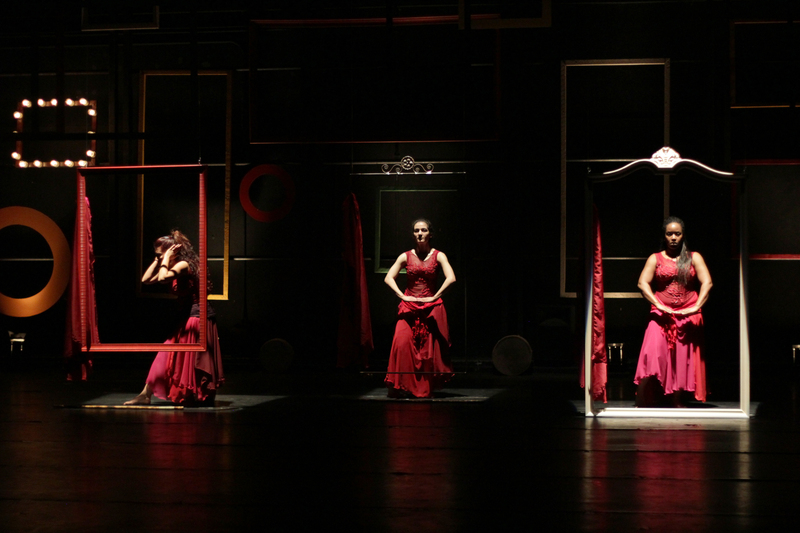 This work debuted at this year’s Downtown Contemporary Dance Festival, also headed by El Attar. It shows in 2B Continued because Shoukry was a participant in a previous 2B Continued edition. At a memorial to Gamal al-Ghitani last Tuesday, Humphrey Davies read the seventh chapter of one of the books of the author’s that he had translated himself: The Pyramid Texts (1994). Titled Luminosity, the chapter is about a flash of incandescent light, sighted near the pyramids, that brings the narrator an obscure ease. — Published on Mada Masr. As part of its recent Creative Cities conference hosted by the American University in Cairo, CLUSTER organized six tours, each looking at downtown Cairo through a different lens — including biking, photography, architecture and passageways. Here is Rowan El Shimi with a video on the cinema tour, and Lara El Gibaly with a written account of the literary tour. — Published on Mada Masr. Since its launch in 2011, Cairobserver has become a go-to place for laypeople (not to mention academics) to read about, discover and discuss not just the city’s architecture, but its culture and urban environment. Initially its articles were largely in English, mostly authored by its founder and the one-man show behind the site: Mohamed Elshahed. — Published on Mada Masr. Last Sunday, downtown Cairo’s Townhouse Rawabet theater hosted the launch of Cairobserver’s fifth print edition: a black-and-white, high-quality 72-page magazine on the theme of the university. The University edition, which features articles from academics alongside texts by artists and others, is clearly a large step forward in terms of the diversity of authors, the inclusion of recognizable names along with new writers, and the depth and variety of angles with which the authors tackle the theme. Novelist Khaled AlKhamissi (Taxi, Noah’s Ark) introduces the issue with a text on his experience at university. Literature professor and activist Hoda El-Sadda writes about the dangers of neoliberal higher education reform. Farida Makar discusses the rise of the concept of “courses” at independent for-profit centers, and how that reflects a society seeking education. There’s even a piece by former Culture Minister Emad Abu Ghazi. The issue also includes profiles on significant architecture professors and practitioners, such as Abdel Halim Ibrahim, and one on Cairo University’s handyman, Am Abdelnaby. Perhaps the piece I found most remarkable, though, was Aya Nassar and Ahmed Borham’s article about an abandoned beer factory owned by the Cairo University and the struggle around what to do with this space. Elshahed encouraged launch attendees to take more than one copy (they’re free) to distribute within their friend network. With the issue’s co-editor, lecturer and researcher Shaimaa Ashour, he presented a run-through of the articles and four of its contributors discussed their pieces. Attendance was quite high for a publication launch, and the audience diverse in terms of ages and disciplines. It seemed a good point to sit with Elshahed to look back at Cairobserver’s five print editions and its continued blog and social media presence, and talk content, process and that staple issue for any non-state project: funding. Rowan El Shimi: Maybe it would be a good start to tell me about the first bilingual printed issue of Cairobserver, released in 2012. How did you put it together? Mohamed Elshahed: The first issue happened on a whim. Its theme — “an invitation to observe” — was very loose, covering the idea of why it’s important for anyone living in the city to pay attention to the urban environment and have a say, to demand information about it. That was the message. The issue was totally amateur and we were tight on time. It was done haphazardly and based around the blog’s content, kind of like a “best of,” in addition to content I sourced particularly for print. RS: How did you come to start Cairobserver in general? MS: I was doing my PhD at New York University on modern architecture and came back in 2010 to do research. Living in Cairo for the first time (I’m originally from Alexandria), I had a lot of impressions, reactions and frustrations. I was always more fascinated by Cairo than Alexandria. I wanted to know more about my observations, but didn’t find a satisfying discourse about it in newspapers, magazines or online. I used to talk about it all the time. At parties I’d be that annoying person who could only talk about the city and complain about sidewalks or bridges. Around March 2011, my flatmate at the time, Nadim Damluji, was researching the history of cartoons in countries visited by Tintin. He had a blog about the topic, so he suggested I run a blog to express my observations of the city. From there, cairobserver.com was born. Within two months I realized people were reading and sharing and giving me feedback. There was interest. In my PhD research, I was getting most of my information from printed material, but we have no documentation on paper of stories on urbanism — they get lost. Since print is still valuable, I wanted to try it. I applied for the British Council’s grants to arts that year and produced the first issue with that money. RS: Your second print edition in 2014 was financed through a crowdfunding campaign. What made you opt for that? MS: I applied again to the British Council, and was turned down. It made me realize that there’s something very dubious about depending on this kind of funding here for projects in Arabic. I decided to make the issue about popular initiatives working on the city, which in a way was a reaction to being rejected by the British Council. I wanted to produce the issue with crowdfunding to prove that there is an audience willing to support the project. It featured articles exploring the inner workings of [urban] informality, and also community initiatives by activists, architects and artists responding to gaps in our existing systems. The last pages were dedicated to a directory of some of these initiatives. RS: 2015 has been a pretty big year for you, with three issues printed. How did that happen? MS: The third edition was meant to be released with D-CAF. Cairobserver had been one of the festival’s media sponsors the previous year, and I thought it would be a great idea to release a downtown-centered issue around the time of the festival. I also wanted to have contributions about downtowns in different Egyptian cities, which only worked for Alexandria, Tanta and Mansoura, but I was happy with that. I had run a crowdfunding campaign for both the downtown and university issues together, which wasn’t successful — I only managed to raise about US$700 after Indiegogo took its percentage — but eventually the issue was financed through a contribution from Ismaelia for Real Estate Development and Garaad incubator, who bought a full-page ad. The fourth issue was not in my plans. I was part of a two-year research project supported by the Beirut-based Arab Council for Social Sciences (ACSS), and part of the grant was for us as a group to have an outcome that connects with the public. Paul Amar, who ran the research group, suggested we print a Cairobserver issue with a regional outlook. It was a great opportunity to get academics working on urban transformations in the Middle East to shorten their articles and make them more readable and accessible to the public in both English and Arabic. ACSS covered the expenses for design, translation and printing, and it was printed in both Cairo and Beirut. By then I’d had contributions for a university issue sitting in my email for more than eight months. So I decided to start working on that theme again. Last year saw universities in the headlines, with fighting between security forces and students, arrests and suspensions, student activism on campuses and faculties dealing with it all. It felt like an opportunity to revisit various elements of the university as a place in the city. I didn’t study in Egyptian universities, so part of my interest was to learn about the experience — from the perspective of architecture and urbanism, but also touching on other issues, such as the surrounding neighborhoods and the history of architecture education. This is when Shaimaa Ashour came in to co-edit. Shaimaa is very involved in Cairo University and teaches at the Arab Academy for Sciences, Technology and Maritime Transport. She has researched modernist architects in Egypt and their education. So it didn’t feel right to do it without her. Also, she had access to stories I would have never picked up on had I been on my own. That’s why it’s truly a community, collaborative effort. The final project is shaped by the participating authors and funded for the most part by a last-minute crowdfunding campaign. RS: This time you worked with a new designer, and you posted lots of photos from the printing process before the launch. MS: It was the first time I was hands-on in the actual printing of the magazine. The new designer, Ahmad Hammoud, it’s his first print magazine, so we worked together to get it done at the print house. Every time I went there was a new step, and I was fascinated with how much manual labour goes into it. I’d never thought about how many hands actually hold each issue. In terms of design, generally form and function go hand in hand. It’s really important to balance the two and not give weight to one over the other. This whole project evolved out of my interest in print culture in Egypt between the 1930s and 1960s and in my magazine collection from this period. I was very struck by the fonts, the innovative design and the thought that went into presentation of content. From the 1970s this almost completely died, and was replaced by standard fonts and design approaches. Despite Egypt being so pioneering with the press, we don’t have a publication documenting graphic design practices of the last 100 years. There is no archive or museum for this history. A part of Cairobserver is to take inspiration from that period before standardization. Not to be nostalgic about it, but to move forward and be inspired by it. RS: You’ve always taken a very organic approach to distribution. What about archiving? Do you make sure the issues end up in public libraries where they can be made available for research? MS: I focus on making it available in downtown cultural spaces people frequent. It’s also very important to always have a launch event, as a main distribution point. Since its cost is high and it’s distributed for free with a limited number of copies (2,000), I always want to make sure it goes to the people really interested to engage with the content. I also recently added to the website a prints link where people can download the issues as PDFs. There were thousands of downloads within days. This helps archive the issues in one space online. I am in the processes of getting copies to libraries such as the American University in Cairo and the Netherlands Flemish Institute in Cairo. Abroad, New York University and Yale have them as well, and soon copies will be in Harvard’s library. I’m considering reprinting or binding the five issues together in a single volume to have it available as a reference for libraries and research institutes. RS: How is funding going for you? MS: I feel like I’m always begging for money [laughs]. But seriously, it is difficult to find funding for the project both on and offline. Also, it’s taking a toll on me, since it’s a lot of effort to run it entirely on a voluntary basis. While I gain a lot from the project as it is, it would be great to have the capacity to hire a small team to handle different aspects of the online platform and print. The budget allocated for the print issues is always spent on translation, design and printing. Currently there’s no room to pay authors, nor myself as the editor. Even though there is great interest in the project locally and even regionally — I get invited to workshops and talks in Beirut, Amman and Tunis, and I know there’s also an audience further afield in places like Kuwait — I’m having a hard time finding interest to fund it. Most arts funding organizations are more interested to fund either institutions and spaces or development-oriented arts initiatives. A project like Cairobserver is in the middle of both, and I haven’t been able to get funding for it through the few active funding agencies in Egypt. It would really make a huge difference in the project’s consistency and reach to have a budget to work with. I do try to come up with creative ways to raise funds. For the downtown issue, for example, I made a photography exhibition at Kafein and the proceeds went toward printing the issue. Lately, a small grant from the Young Arab Theatre Fund complemented crowdfunding, which resulted in a smaller amount this time. But I also put advertisements in the magazine — relevant ones for cultural, journalistic and educational institutions, like Goethe Institut, the Italian Cultural Institute, the Technical University of Berlin in Gouna — which covered a portion of the cost. RS: Where do you see Cairobserver going from here, content-wise? MS: The biggest challenge now is how to be financially sustainable, so it’s difficult to think about growth in terms of content without sorting this out. I have lots of ideas for future print issues, such as one on museums. I’ve also been approached by people with ideas, such as an issue on historic Cairo, or particular neighborhoods such as Heliopolis, or suburbs and new cities. There is a lot to cover and a lot of potential to grow. Cairo is uber-urban and should have analysis produced and printed material containing conversations about it publicly available. ربما يبدو اﻷمر مبتذلًا، لكن كان من الصعب أن أتوقف عن التفكير في اﻷداء المعقد، والمبهرج، والملئ باﻷلوان لتانجو الزنزانة من فيلم شيكاغو الذي تم إنتاجه في 2002، حين سمعت أن عائدة الكاشف تصنع وثائقيًا عن النساء المصريات اللواتي قتلن أزواجهن. — نشر على مدى مصر.